Take a ski through the woods at the Art Roscoe Ski Touring area with a naturalist starting January 4th. Learn about the winter landscape while getting some exercise. All levels welcome. Mini learn-to ski clinic and tips will be provided. Meet at the Summit Warming Hut 10:30 AM- 12:00 PM on Fridays in February. Contact J-Con Parks for ski rentals 716-354-9163. Program will be canceled if ski trails are not open. 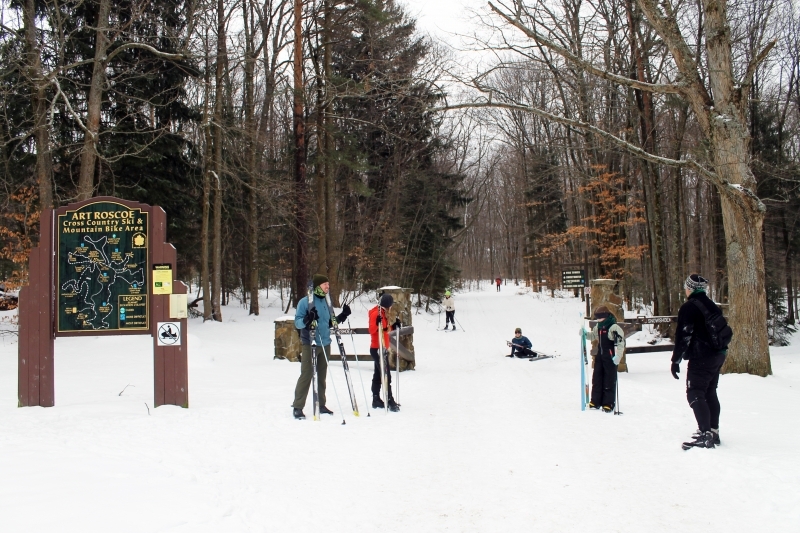 Check out the Allegany State Park Facebook for XC Ski Trail reports. For more information please contact the Environmental Education/Recreation Department at 716-354-9101 ext. 236. Photo credit: Paul Crawford.